Case packing with blanks (wraparound) using hot glue at high speed; for case packing of rigid products (cartons, plastic bottles, thermoformed packages, etc….) and flexible products (bags, Doy-packs, sachets, flowpack packaging etc…) in vertical or horizontal position. 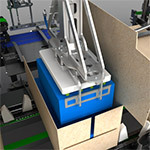 Loading system with 3 – 5 axis Delta robot, depending on the application. 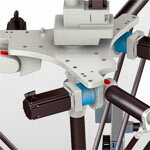 Option for automatic and instantaneous adjustment of all points for the format change through servomotors. 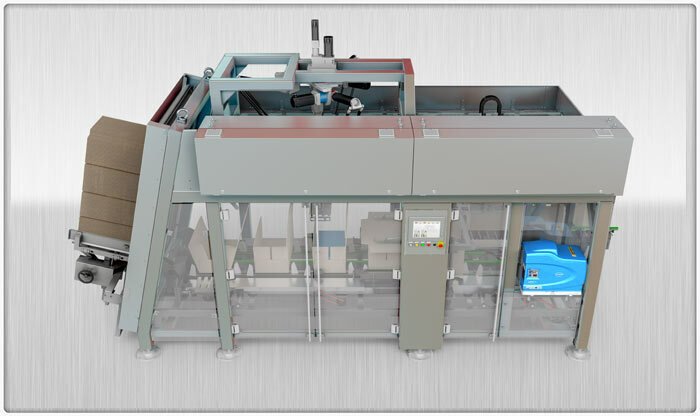 Production: up to 25 cases/minute depending on format. 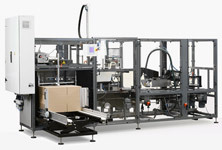 Robotic case packing line for display boxes+ lid with vertical loading of product for a lineal display. System with the lid glued to the interior or the exterior of the base, depending on the requirements of the design or the rigidity of the box. Module for forming display bases starting from a carton blank sealed by means of Hot Melt glue. Module for forming and placing lids starting from a carton blank sealed by means of Hot Melt glue. 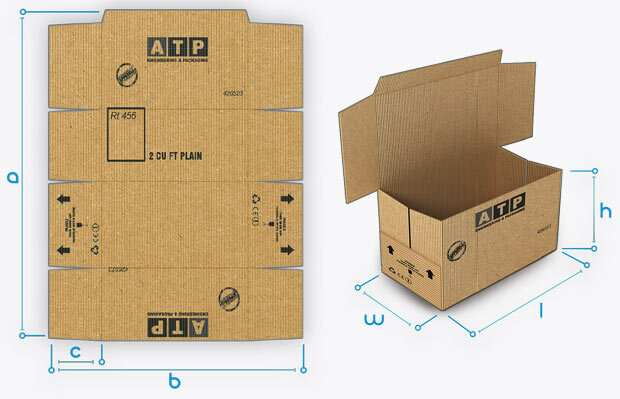 Possibility of case packing rigid products (chocolate bars) or flexible ones (bagged products) lying flat or in a vertical position in the interior of the box. Cadences, range of formats, types of boxes and presentation will be studied according to the specifications of each project. 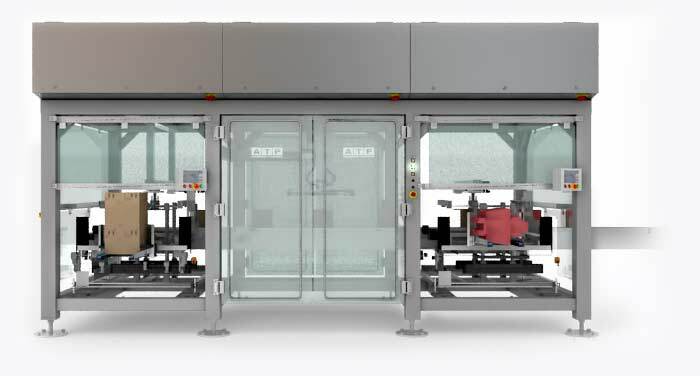 Primary and secondary packaging line by means of robotic modules with wrap-around technology combining the formats of display base+lid (primary case packing) and pack-master box (secondary case packing). Module for forming lids starting from a carton blank sealed by means of Hot Melt glue. 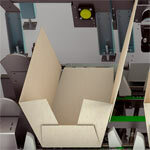 Robotic Vertical Case Packing module with wrap-around system (Race-Track collator+ Delta Robot). Robotic module for forming and placing the display base around the lid starting from a carton blank sealed by means of Hot Melt glue. 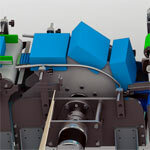 Secondary Case Packing module by means of a wrap-around system with pack-master boxes starting from a carton blank sealed by means of Hot Melt glue. 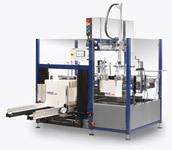 Compact Case Packing machines that integrate the case erector, product collator, case packing robot and case sealer. It uses the same efficiency concepts of case erectors of the C Series with easy access for maintenance and using high quality standards components, easy change of format and an outstanding quality-price relation.